Ontario’s Finance Minister, Dwight Duncan, made a shockingly candid admission on August 18, 2011, as reported by The Toronto Star. 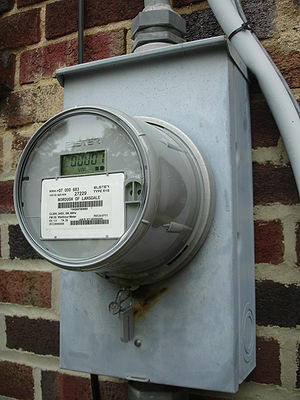 He chastised the leader of the Opposition, Tim Hudak, for promising to give Ontarians the choice of whether they want to have a spy meter in their homes to monitor their electricity usage since they were made mandatory everywhere by 2011. He admitted that they are currently using the meters to spy on homeowners for the purpose of detecting marijuana grow operations. Finance Minister Dwight Duncan, a former energy minister, said it’s odd that Hudak is fighting grow-ops at the same time as he is leading a crusade against “smart meters” because they help find dope. “One of the great things about smart meters is they help you shut down grow-ops … these things give very precise measurements of how much power is used,” he said. It’s my view that Hudak is opposing spy meters purely for partisan gain in the upcoming October 6 election, but I find it revealing how Ontario’s Finance Minister made light of the government spying on its citizens through the use of these spy meters. Oh sure, it’s about going after the bad guys. It always was and always will be. But how will they determine who is a bad guy? By regularly monitoring your electricity usage, of course. 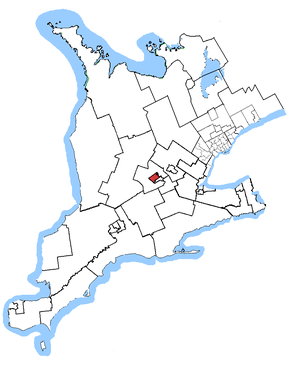 The Canadian Constitution requires that searches be reasonable, and searches of homes require a warrant, yet here we have the Ontario government openly admitting to effectively searching Ontario homes without a warrant. Since the Ontario Progressive Conservatives unveiled their October 2011 election platform, it’s become evident to me that their leader Tim Hudak is a shameless opportunist. 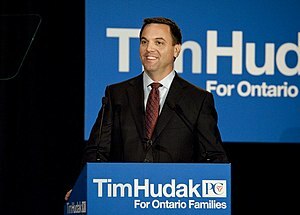 In 2009, when the federal Conservatives effectively bribed Ontario with $4 billion (around 40% of Ontario’s own money to begin with) to surrender its constitutional authority to directly impose a provincial sales tax and adopt a so-called Harmonized Sales Tax, Ontario PC leader Tim Hudak said how bad it was. To me, it is simply not credible that he wouldn’t have taken the $4 billion from his federal cousins and implemented the HST like his Liberal competitors did. Among his other shameless opportunistic claims include his promise to remove the 8% provincial portion of the 13% HST from hydro bills, and remove the debt retirement charge from them. As one columnist pointed out, Hudak claims the debt retirement charge is no longer necessary, since the debt has allegedly been paid off. Hudak was wise to go into politics, because he certainly wouldn’t have lasted long as a loan officer at a bank with his funny math. He claims that Ontario hydro customers have paid back the debt by having paid back the principal on it. Wouldn’t it be nice to say you’ve paid off your mortgage by only making principal payments and not any interest? Yes, so long as you’re not the bank. While the Ontario Liberals, dubbed the Fiberals in some quarters, have a deservedly tarnished image as a result of some of their bogus promises, such as their failed promise not to raise taxes while going on to impose a health tax and eco fees, Hudak and the PCs aren’t any more credible in my view either.